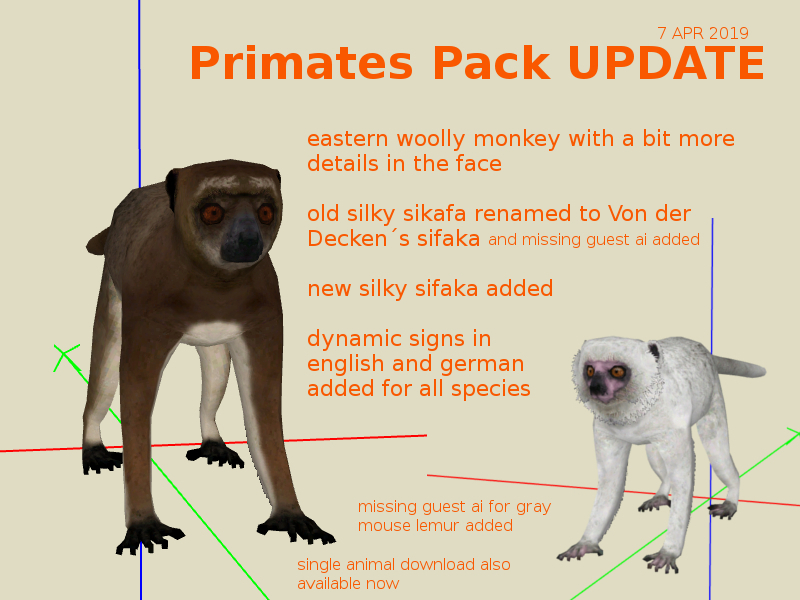 Description: An update to the original Primates Pack. 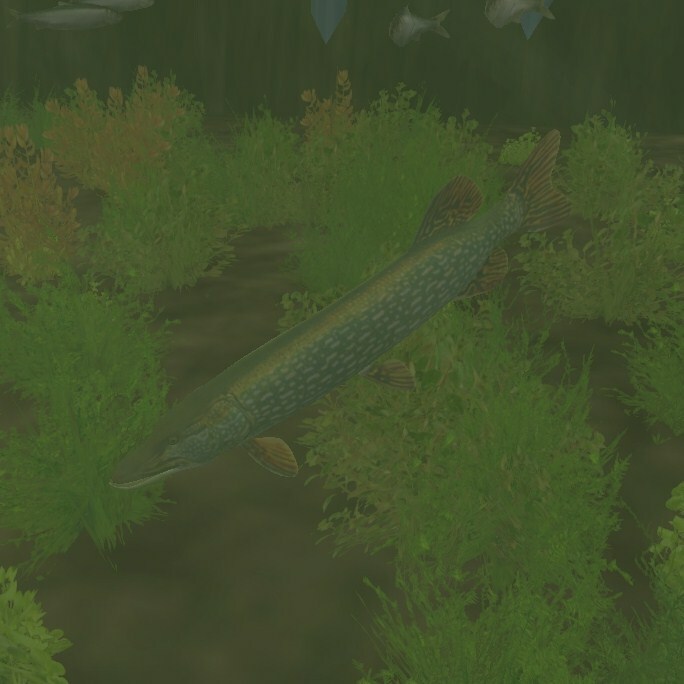 Description: A small pack based around the genus Esox. 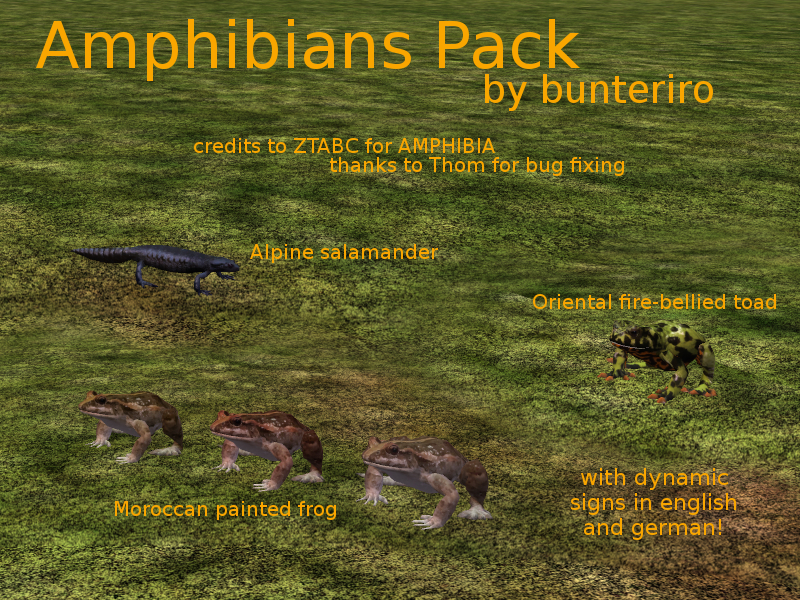 Description: I edited the biomes for some of the frogs in the Poison Frog Pack. 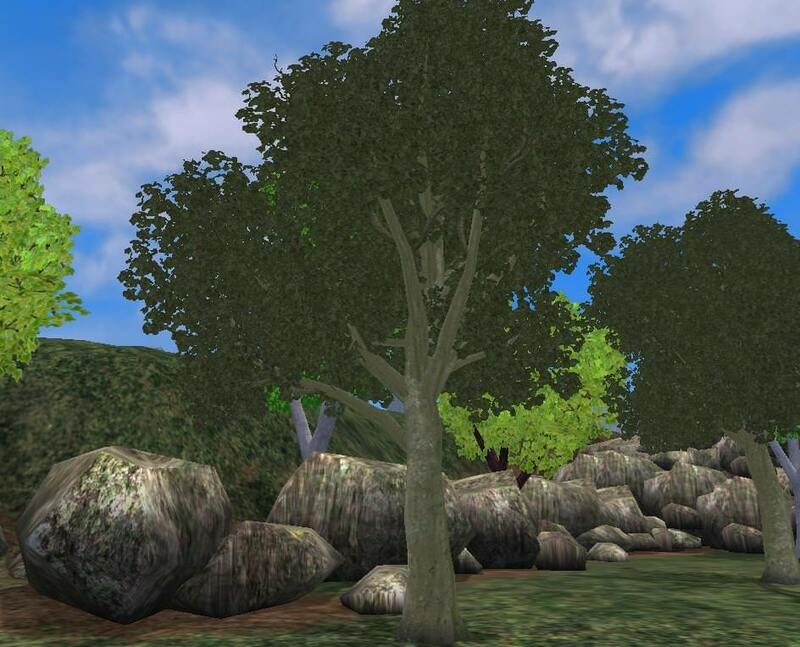 Most were added to the montane biome. 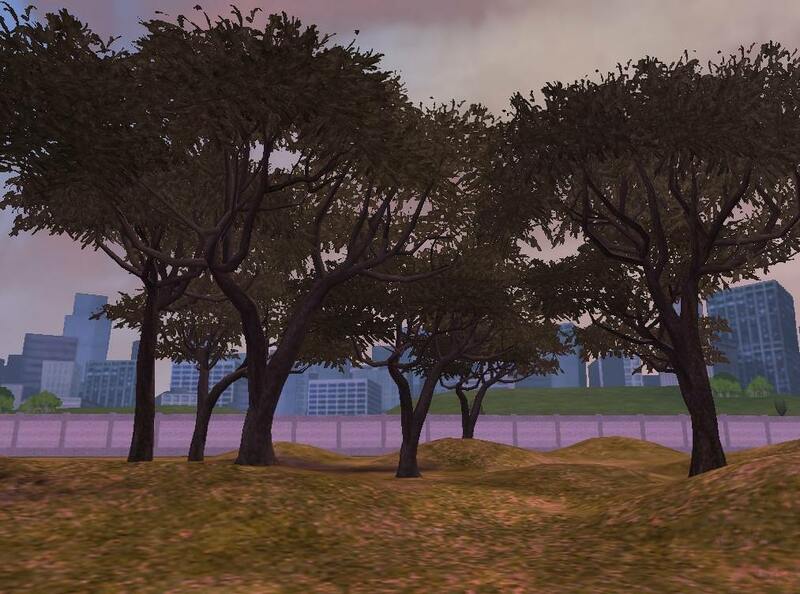 Original Creator: Models and skins imported from Pro Cycling Manager 2016, made by Cyanide. 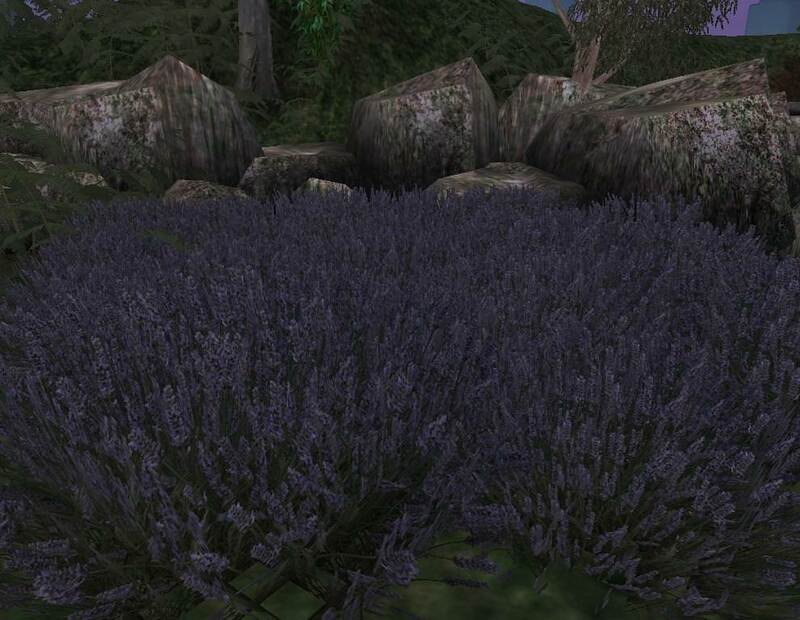 Ground Ivy, Lavender, Lime Tree, Moor, Mulga (2 variants), Oak Tree, Olive Tree, Plane Tree, Fir Shrub, Tussock Grass. 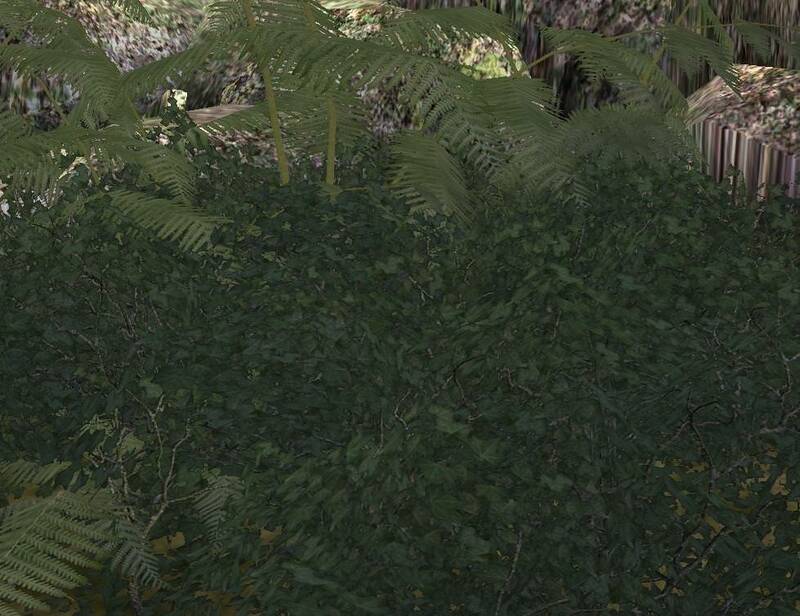 Most of them also have size variants. 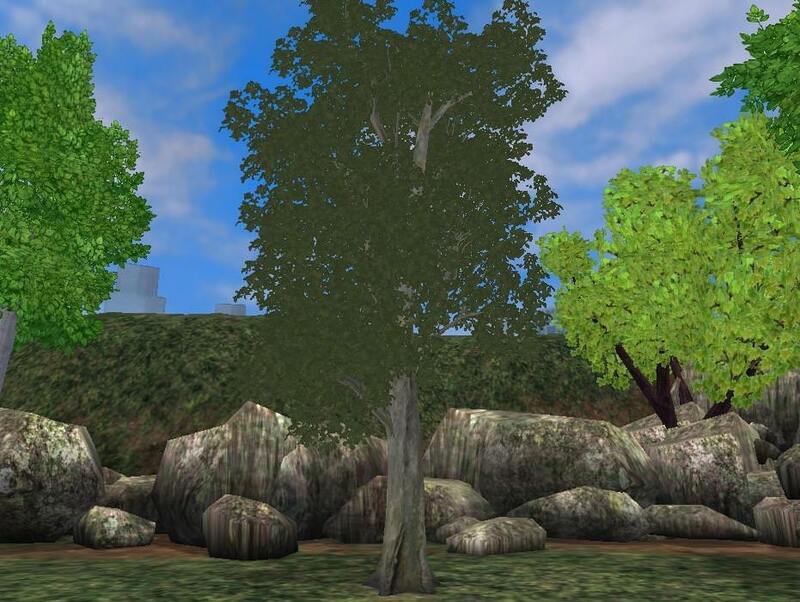 Description: They are based on the goliath frog, Australien green tree frog, and great crested newt (AMPHIBIA by ZTABC Team). The alpine salamander is terrestrial (using the behaviour and animations of the BF komodo dragon), eats insects and gives live birth. 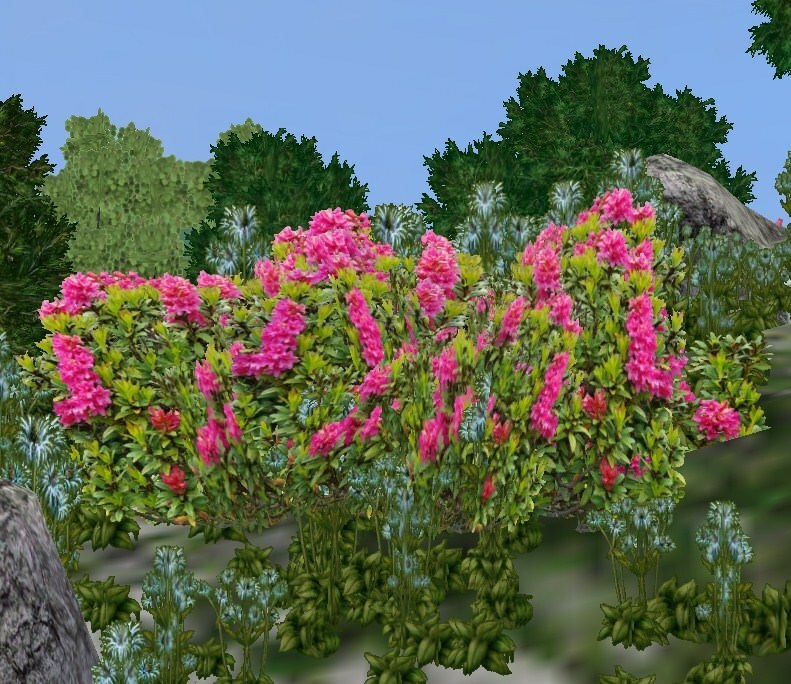 Thanks to Thom for helping with the live birth coding. The Moroccan painted frog has 3 variants but no baby variant coding, so they will grow up to the greenish skin on the left. 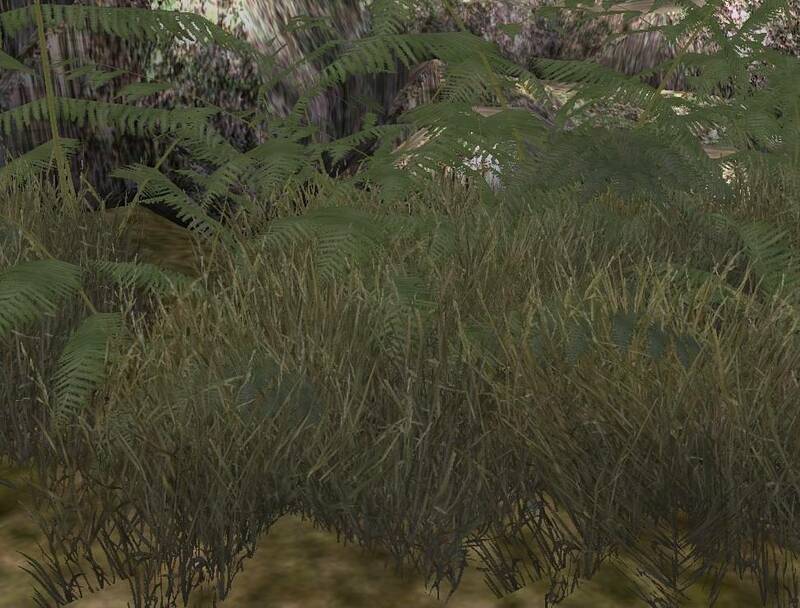 They do come with dynamic signs. 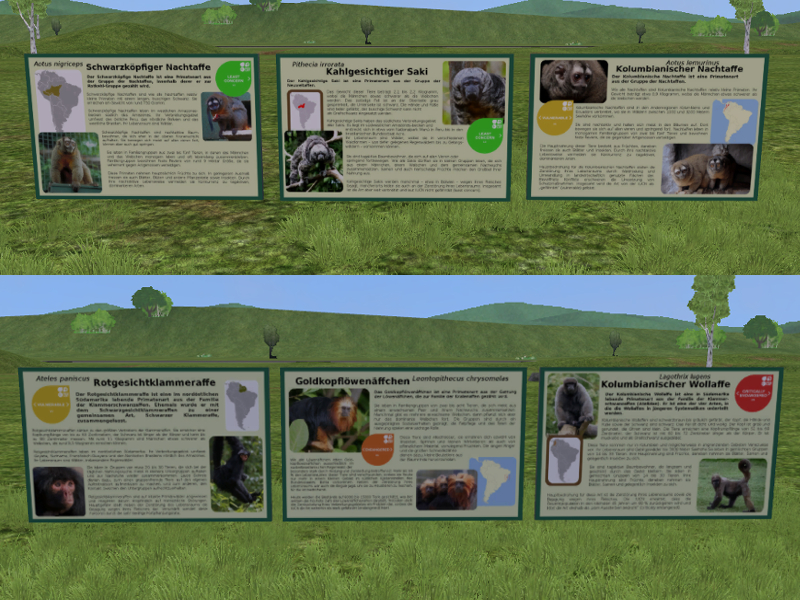 Bugs: Zoopedias are not edited so they show the entries of the animals this pack is based on. 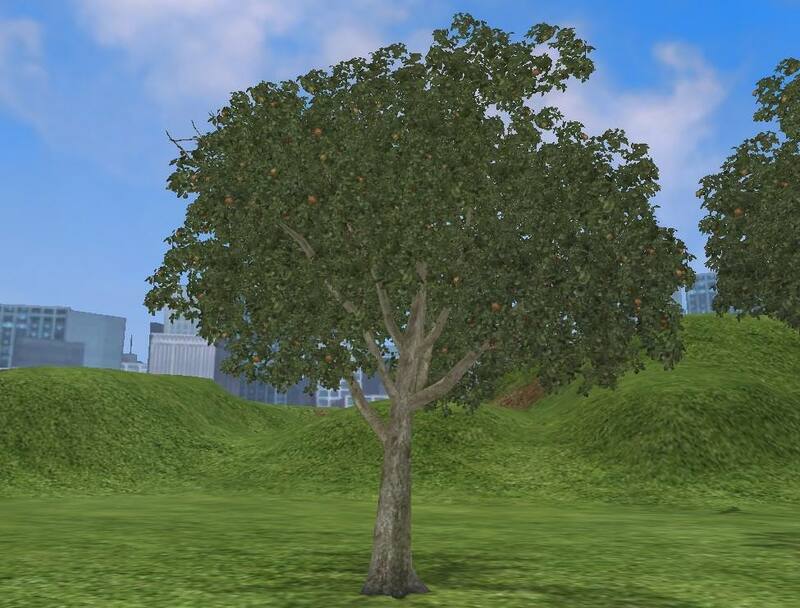 No new icons. 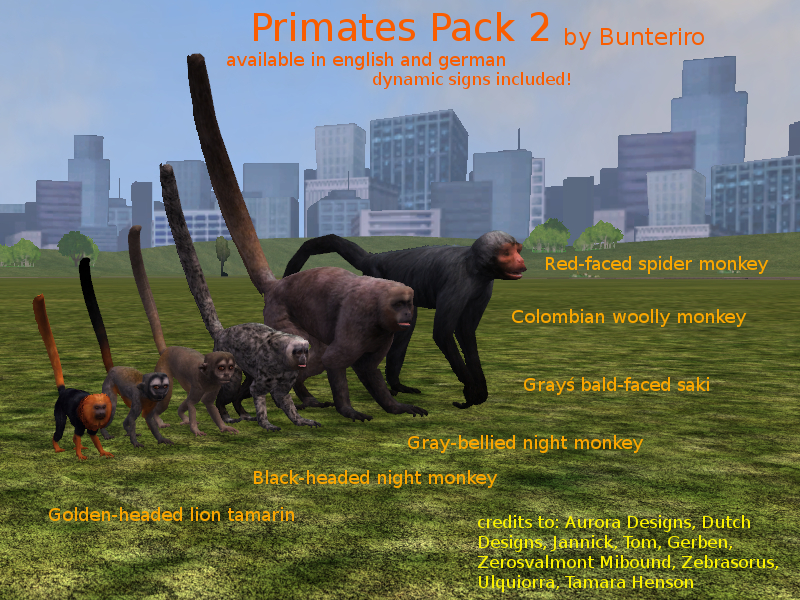 Description: A pack that includes red-faced spider monkey, Colombian woolly monkey, Gray's bald-faced saki, gray-bellied night monkey, black-headed night monkey, and golden-headed lion tamarin. 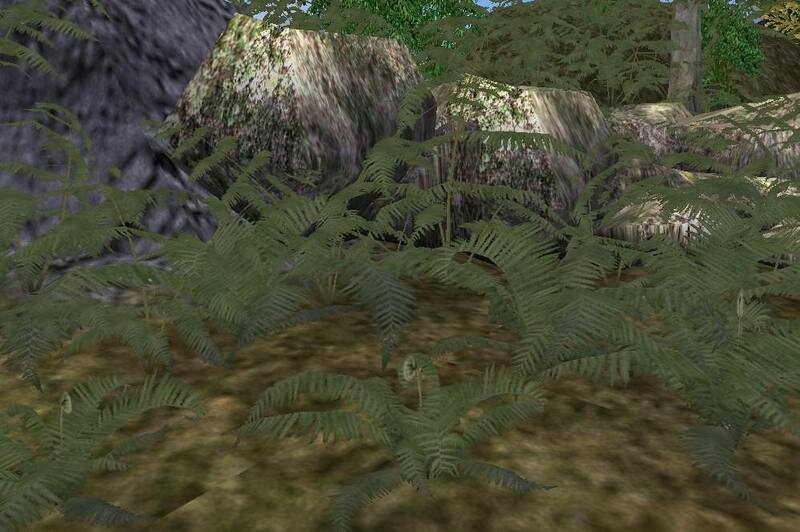 The Colombian woolly monkey has baby variants. 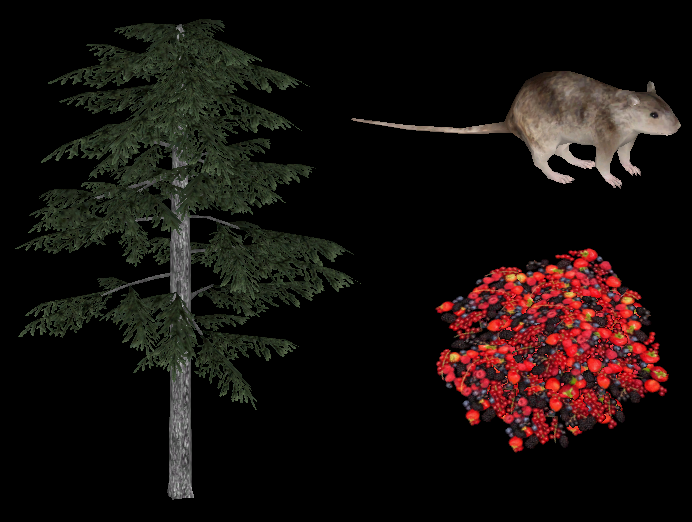 The guests will donate to all six species. 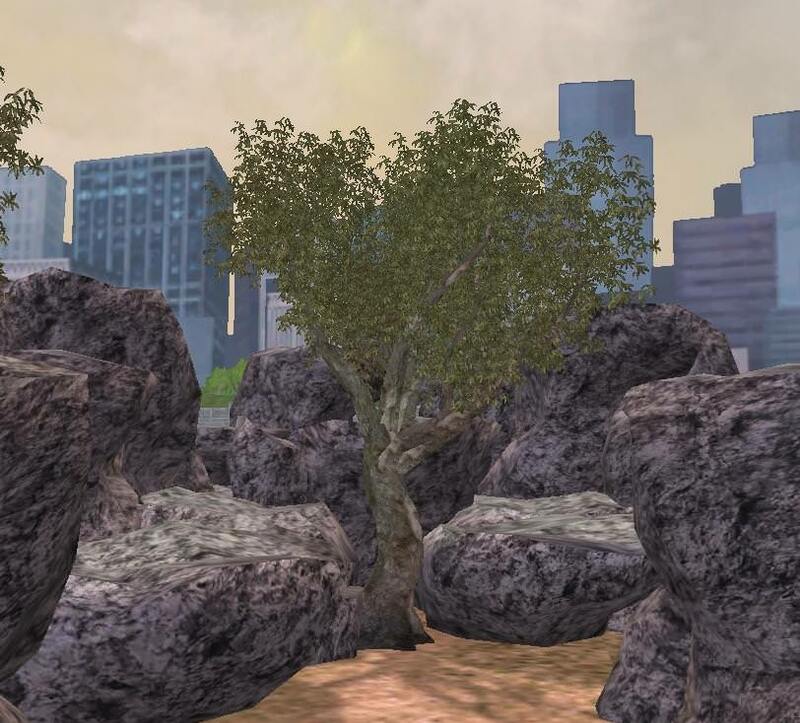 Credit: Hendrix for base hamster model, model edits by Whalebite and Ulquiorra. 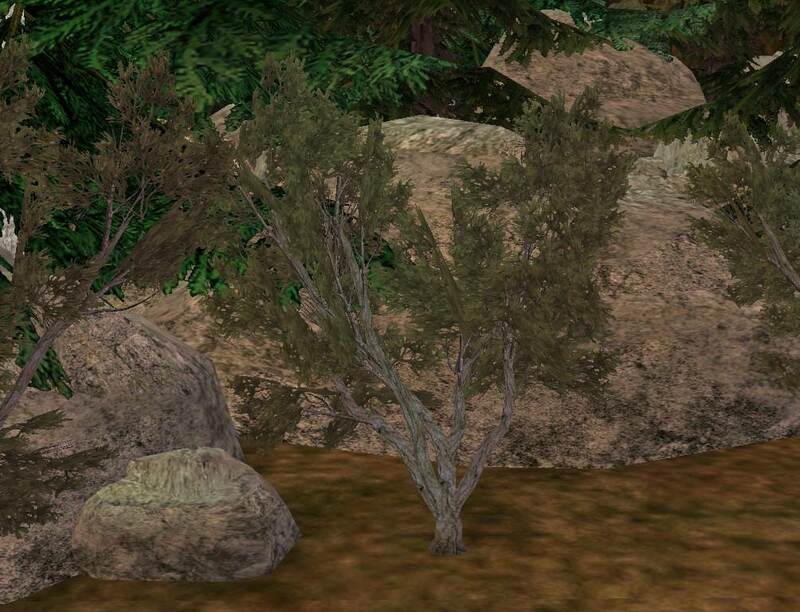 MrGorsh for scale texture. 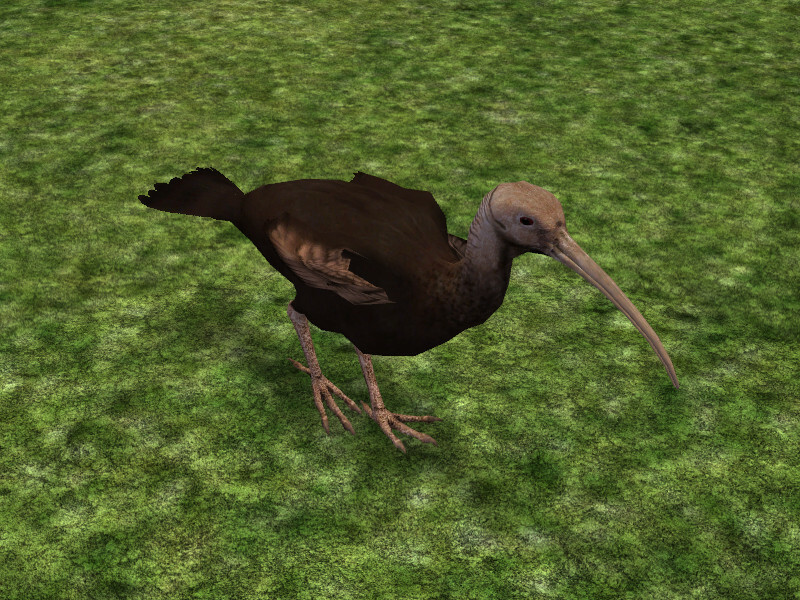 ZTABC for burrow model, base skin and coding. 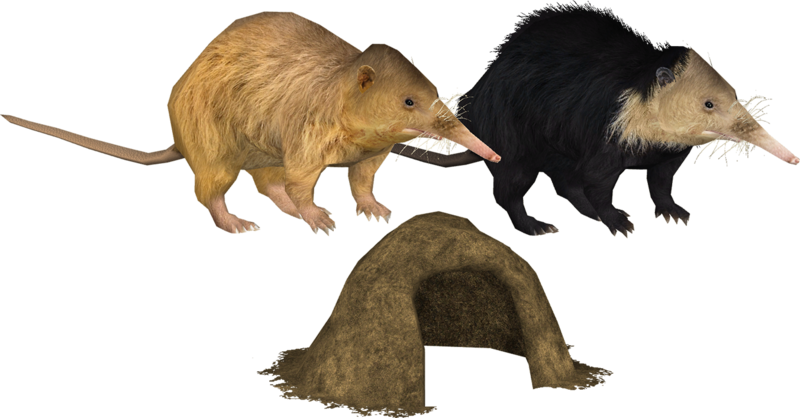 Description: A mini pack with both extant solenodon species; the Hispaniolan and Cuban Solenodon, as well as plain dirt burrows useable by them and other animals. 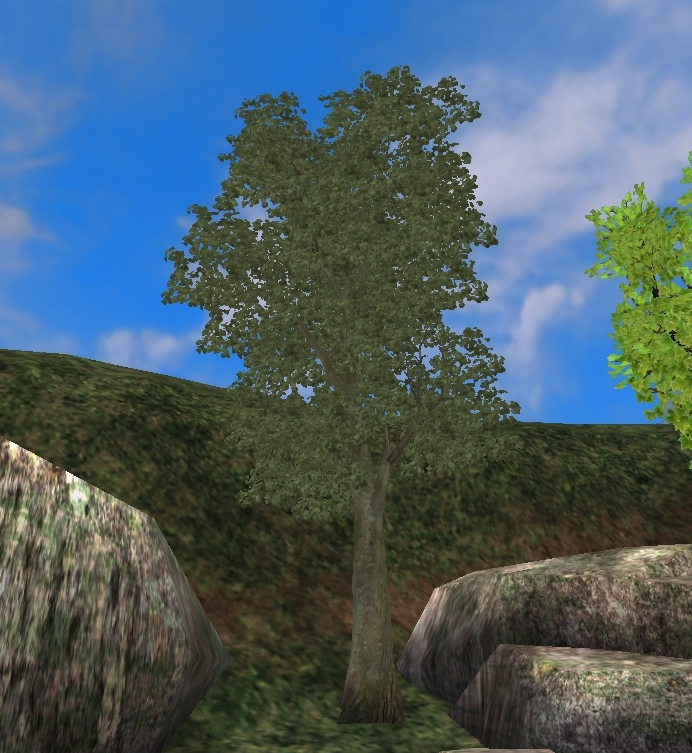 Part of Interesting Islands 2. 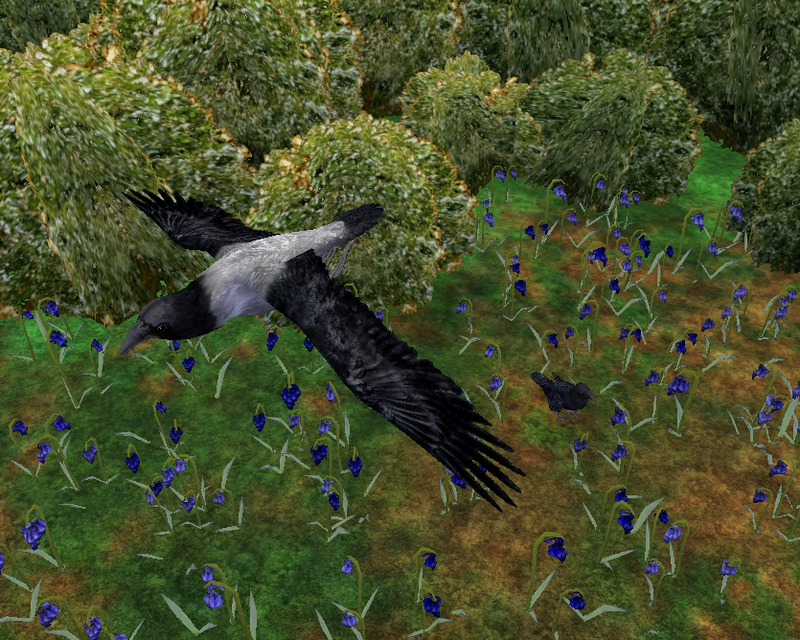 Description: I created a filter for the Corvid Pack. 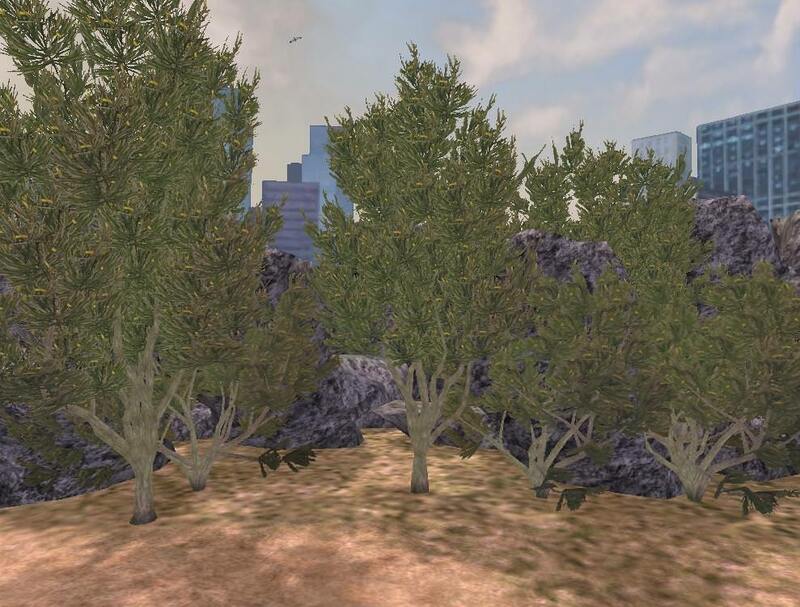 Description: I created a filter for the Raptor Mini - Pack and fixed the short-eared owl's name. 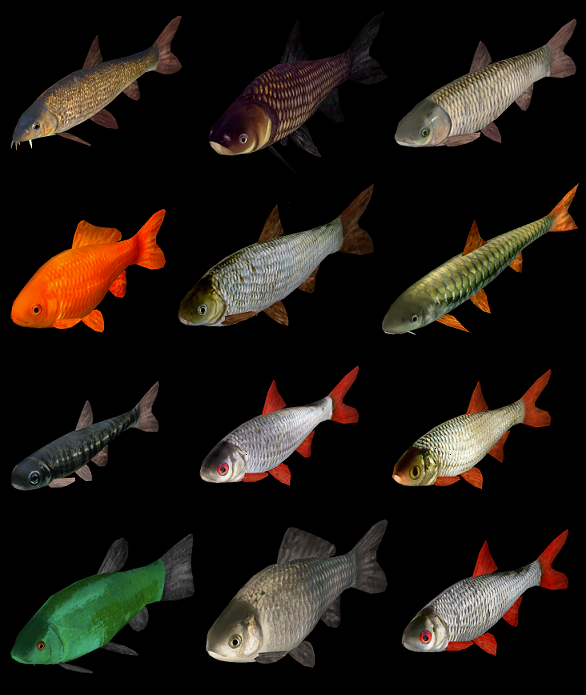 Description: I created a filter for the version 4 of the Cyprinid Pack. 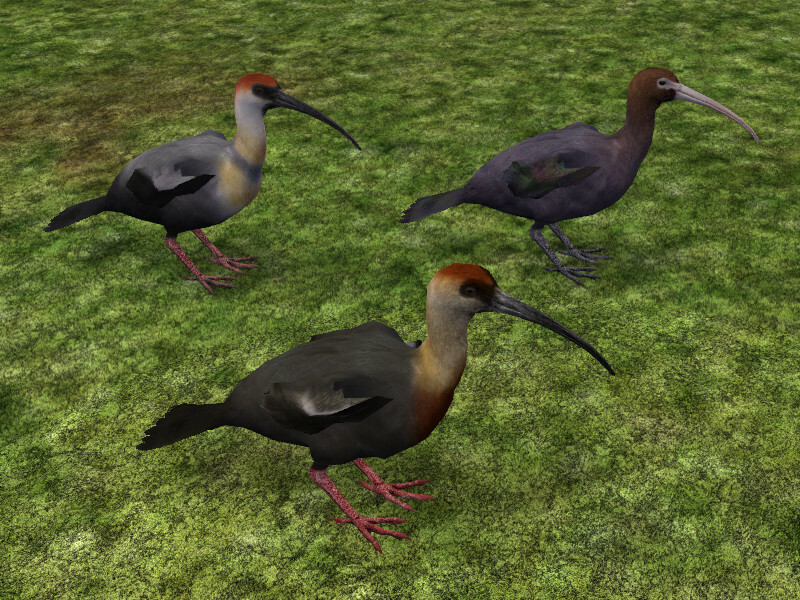 Description: I created a filter for the Indian Vultures Pack. 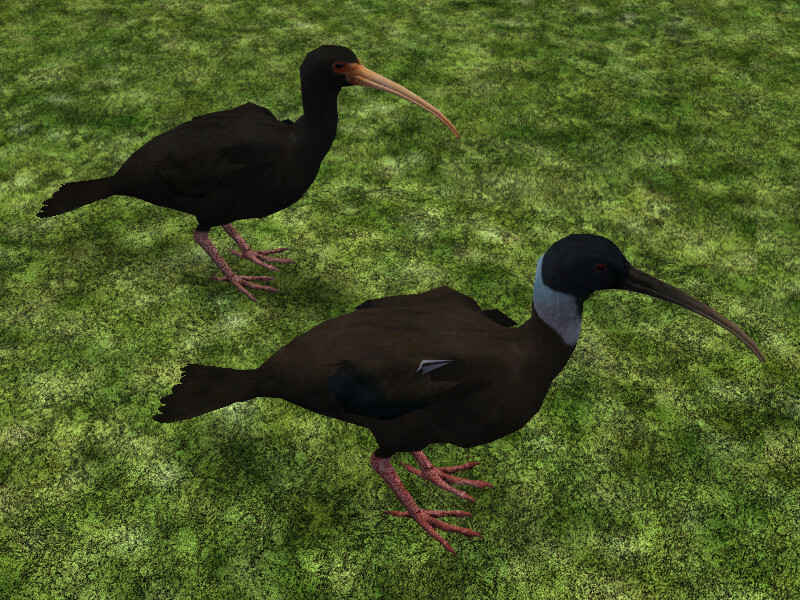 Description: I created a filter for the Pheasant Pack. Requires: MM, EA, AA, HENDRIX's Taipan, Ulquiorra's/Koiking's Cyprinid pack. 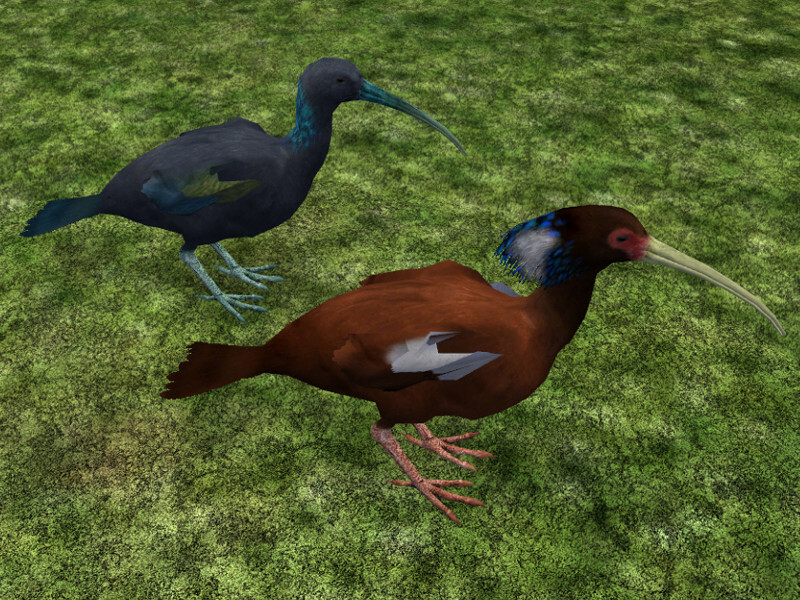 Bugs: Heron has minor distortions, otherwise none. 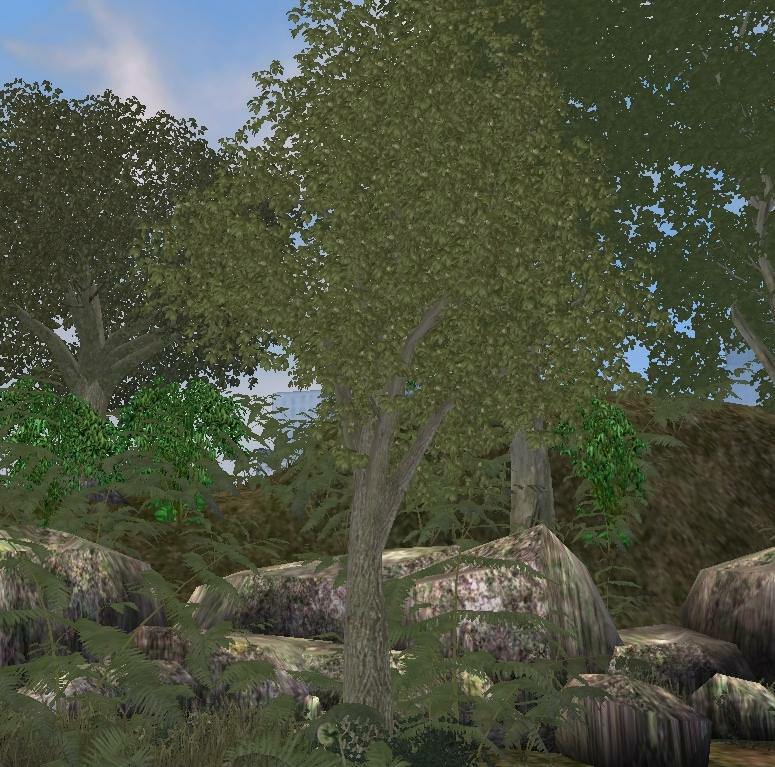 Description: I created a filter for the European Wetland Pack. 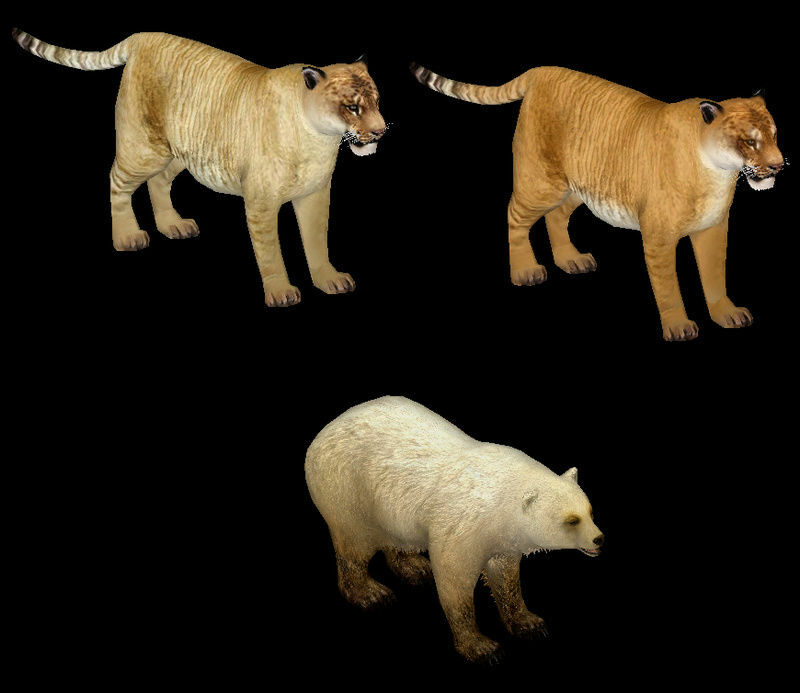 Requires: ES, AA, MM, reptilia and possibly Carnivora & EE. 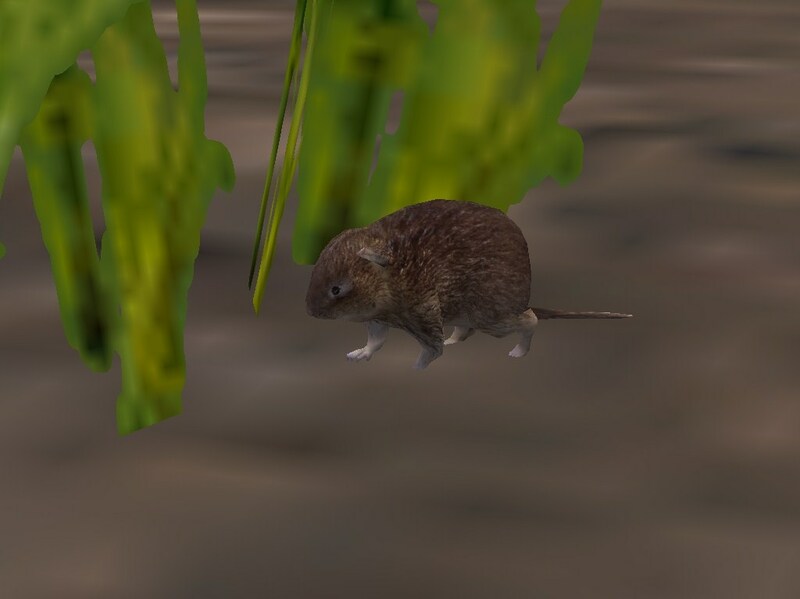 Description: I created a filter for the Small European Mammal Mini - Pack. 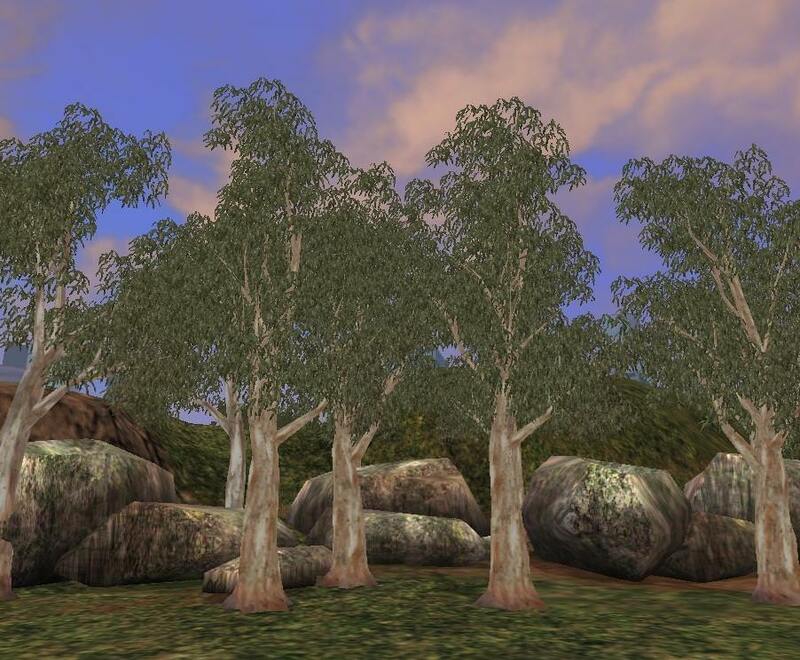 Requires: ES, AA, MM, EA, RR Biomes and possibly REPTILIA. 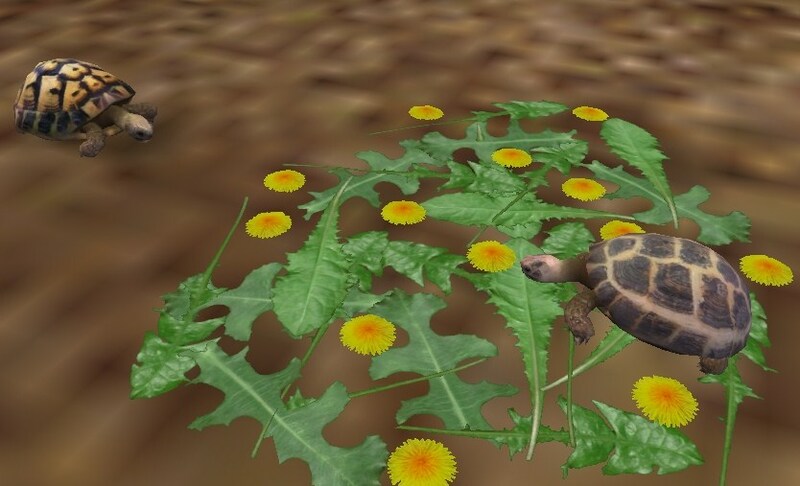 Description: I created a filter for the Small Tortoise Pack. 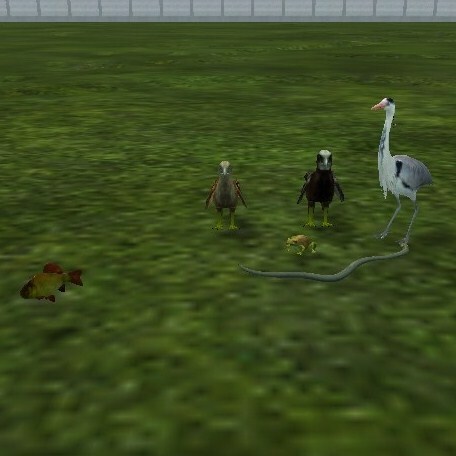 Description: I created a filter for the Hybrid Carnivorans. 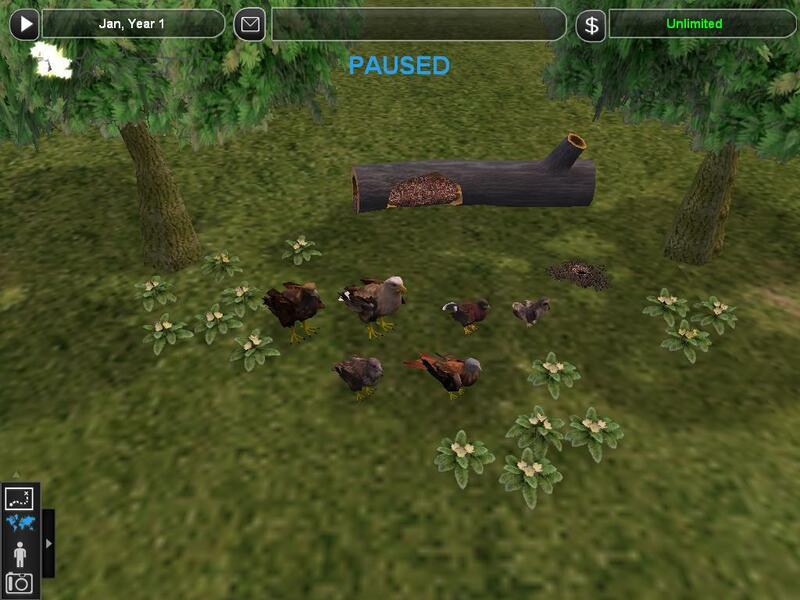 Description: I created a filter for the Lagomorph Pack. 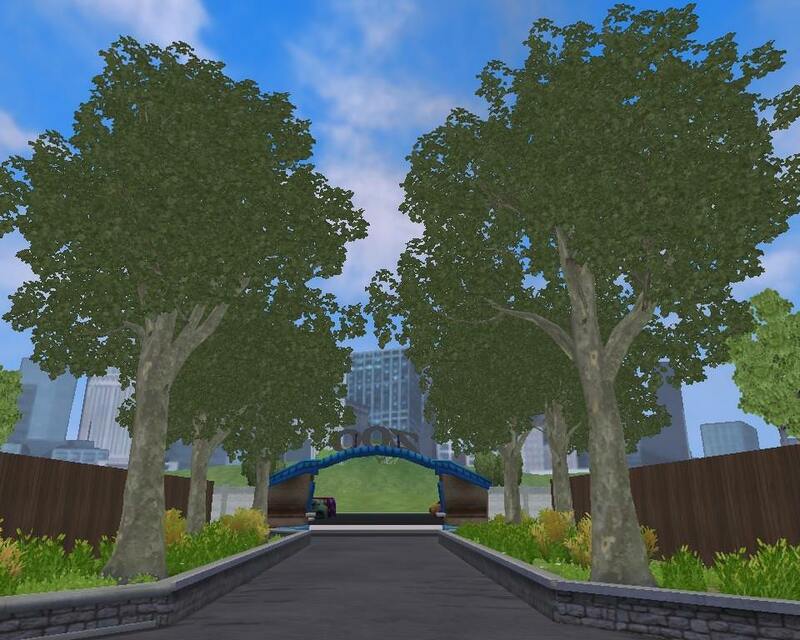 Description: I created a filter for this pack. 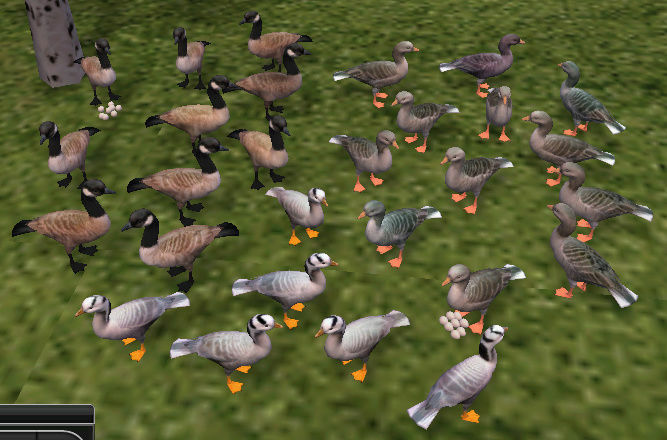 Description: This download includes a filter for the pack and a correction of the location for the magpie goose. 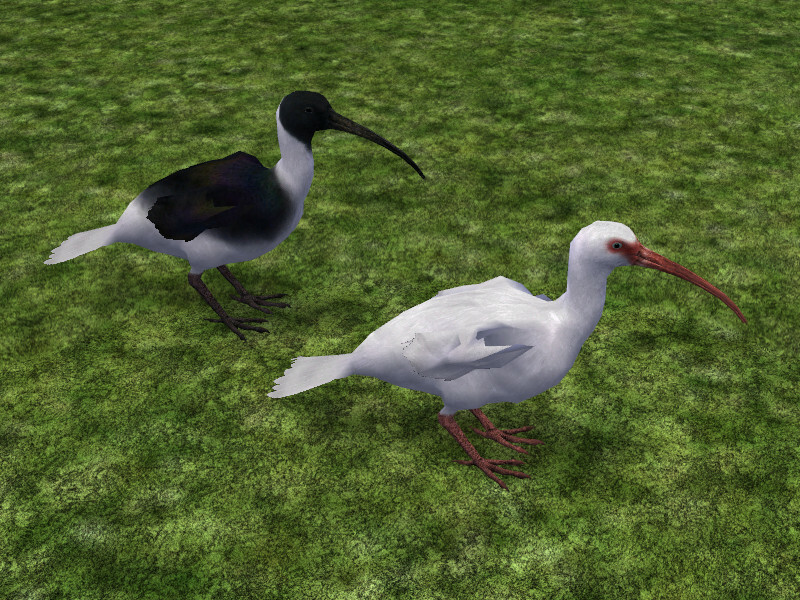 Description: A pack of 10 birds - American White Ibis, Bare-faced Ibis, Black-faced Ibis, Buff-necked Ibis, Giant Ibis, Green Ibis, Madagascan Ibis, Puna Ibis, Straw-necked Ibis, and White-shouldered Ibis. 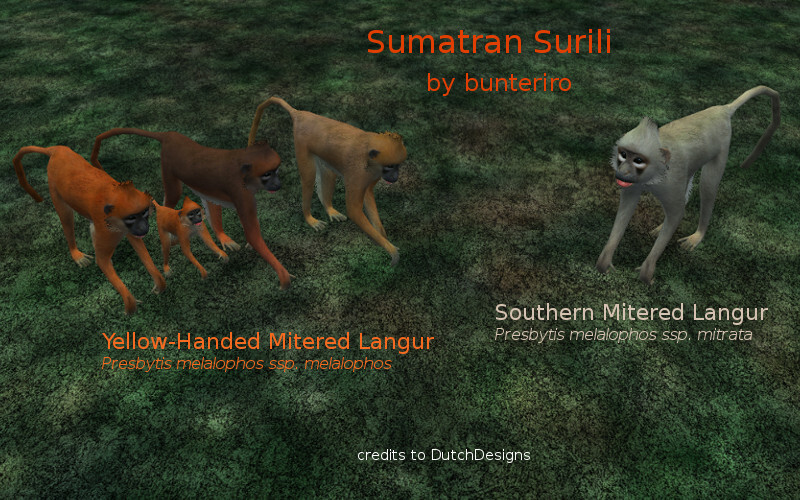 Description: A pack of 2 primates - Yellow-Handed Mitered Langur and Southern Mitered Langur. 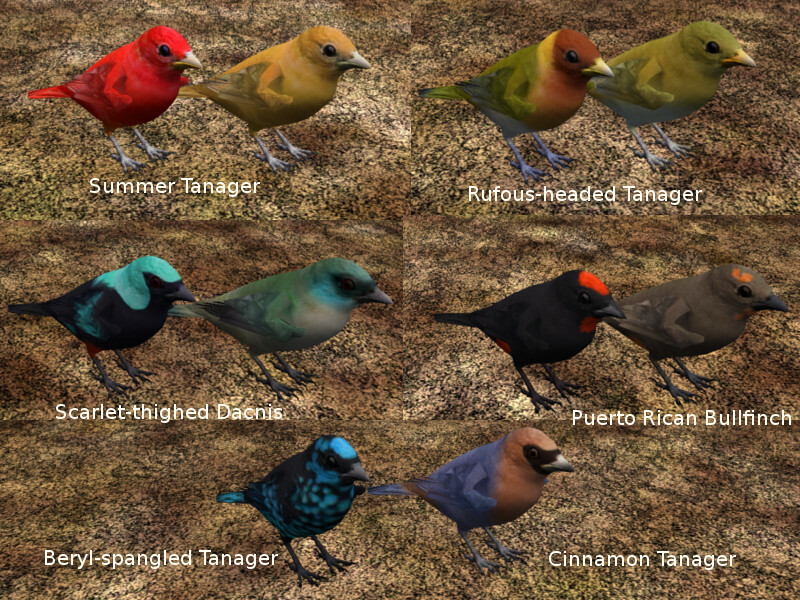 Description: A pack of 6 tanagers - Summer Tanager, Scarlet-Thighed Dacnis, Beryl-Spangled Tanager, Rufous-Headed Tanager, Puerto Rican Bullfinch, and Cinnamon Tanager. 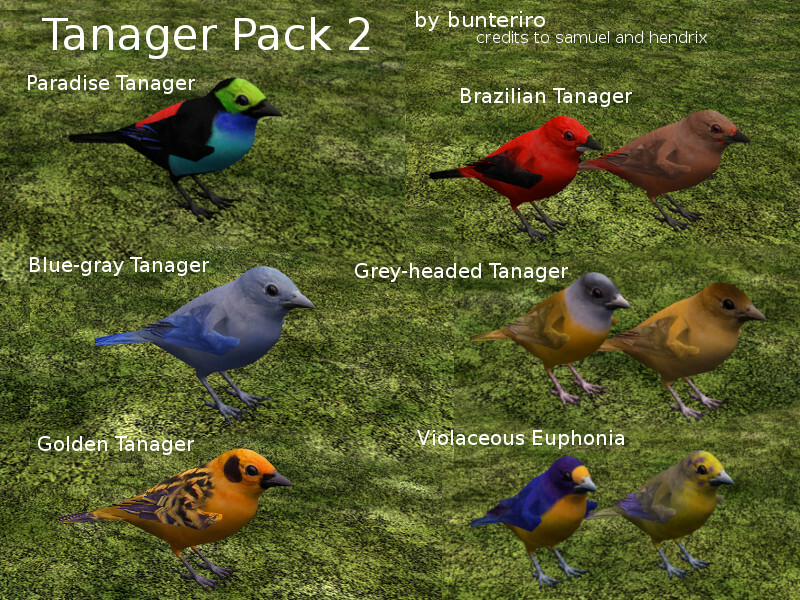 Description: A pack of 6 tanagers - Paradise Tanager, Blue-Gray Tanager, Golden Tanager, Brazilian Tanager, Grey-Headed Tanager, and Violaceous Euphonia.